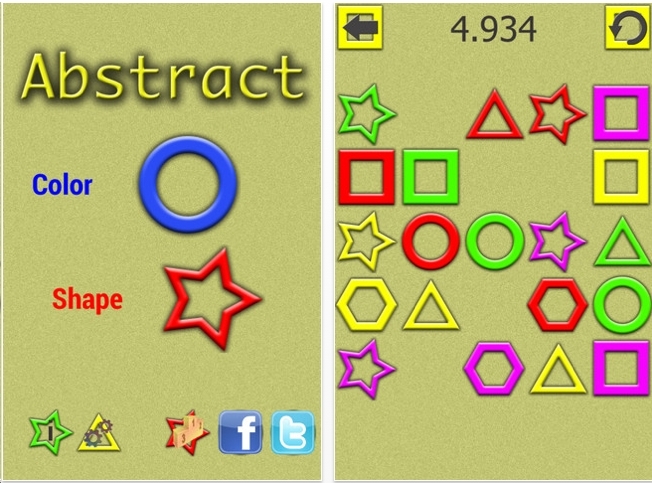 Abstract is a game to test your finger speed. If you choose the color mode, your objective is to tap out all the blue shapes first, then the red, etc. 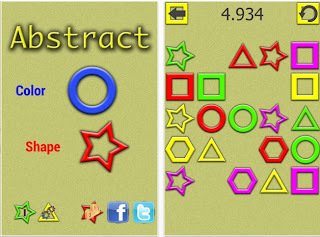 Alternatively, you could tap out the shapes first. It's fun for a few minutes. I think this would be good for old people trying to keep the mind sharp. Hey, it's a free puzzle app.